RECOVER YOUR DATA IN MINUTES, NOT DAYS. A recent FEMA report estimates that 40% to 60% of small to medium businesses won’t survive a data calamity, including fire, flood, ice storm or earthquake. EverSafe Backup and Disaster Recovery (BDR) ensures your business continuity, whether you’ve lost one vital email or an entire office. Most recoveries from disaster must wait until the computer and server hardware is operational again, which could take days or weeks. But with EverSafe Backup and Disaster Recovery, the information vital for your business continuity is available right away from any device for any application—regardless of the state of your onsite hardware. We back up your data every 15 minutes. We even recover email. 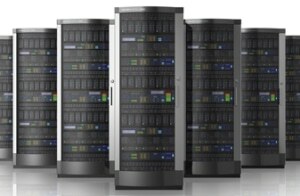 We encrypt your data and store it offsite in SAS70 Type II and HIPAA-compliant data centers. We comply with government regulations for protecting sensitive documents (HIPAA, PCI, FISMA, FERPA). We prevent potential disasters with remote monitoring and management so that small issues don’t become big issues. If disaster strikes, we enable you to resume operations right away from any internet-ready device. If you worry that your employees do not back up daily and if you do not have a backup and disaster recovery plan in place, turn to EverSafe BDR. Our remote SAS70 Type II and HIPAA-compliant data centers safely house your data and records far from the site of the disaster. Your information is available and accessible when you need it, wherever you need. With EverSafe Backup & Disaster Recovery, your valuable data is protected at a predictable monthly price that fits your budget.